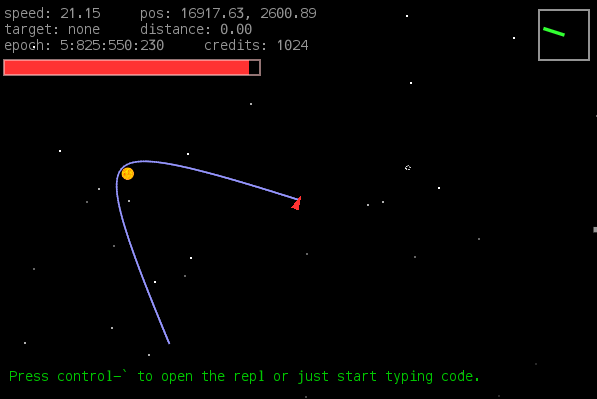 A space flight programming adventure game. 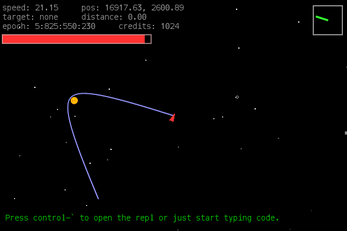 Unlock the potential of your spacecraft by hacking on the code that makes it tick. Watch the trailer. Linux versions require installing the LÖVE game engine; (version 0.10.2). Take a look at the in-game manual to get a feel for how it works. Source is free software and available on GitLab under the GNU General Public License v3 or later. Contributions are welcome. 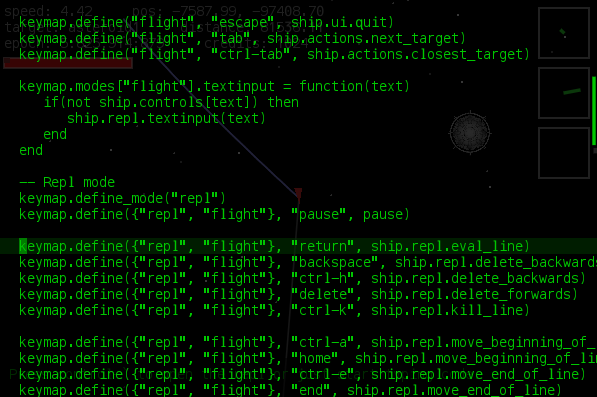 If you liked this, try my other game EXO_encounter 667 which is actually complete. I've wanted a game exactly like this for so long, great work keep it up! Wow! what a great game! keep on it, I'm loving it! Wow. I just want to say, I really like this game. When I first saw this page, I thought like I would drop it really fast but I actually really liked it and got the hang of the basics quite fast. I dont know if all passengers missions would have led to the same thing but I really like where this is going. email mentions a file, no ls/dir command?? ctr-o open file just opens a screen editor without option to navigate/specify a file ?? Thanks for the feedback! 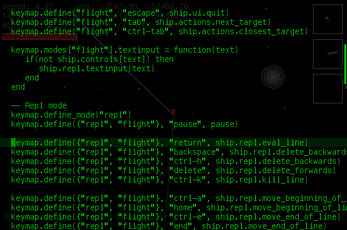 The console login behavior should be clearer in the next beta, and I'll add an "ls" function; that would help a lot. I also agree that the interface when you press ctrl-o could be a lot nicer--I hope to address that in a future release too. Thanks for being understanding that the game is still in beta. This is a beautiful concept. I believe this could be a new direction in gaming. Will definitely continue following your project and try to tell others about it. Nice work! Any plans to upload an easily runnable versions for people unfamilair with git / command-line tools? I realize updating is a hassle but I'm sure you'd get more feedback this way (if you want to)! Thanks for your interest! Just published an alpha release with downloads for Windows/Mac/Linux; please let me know if you get a chance to try it out.